America's #1 Medical Cannabis Guide. Cannabapp is Fun, Free & easy to use. Available now! on Apple & Google. 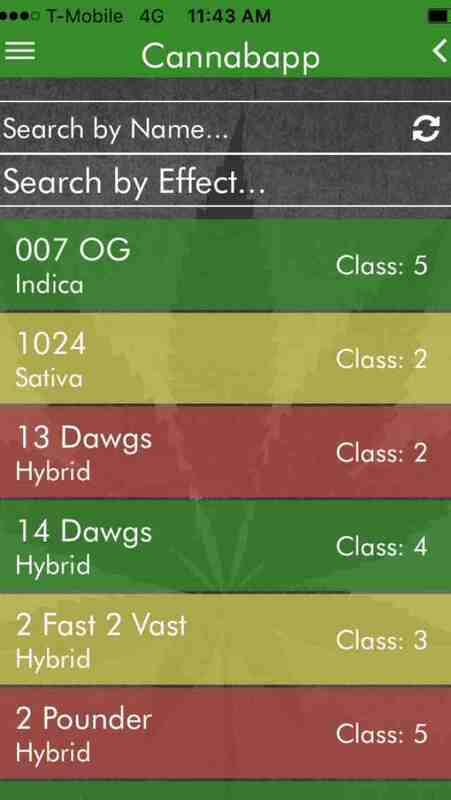 Browse thru almost 2000 different Marijuana Strains. We Classified & Rated the Plants per effects!